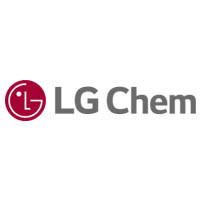 Founded in 1947, LG Chem has served as Korea’s representative chemical company, contributing to the development of the national economy and the enhancement of the quality of life through continuous technological development, new product introduction, and quality innovation based on its stable growth. We have established the production, sales, and R&D networks at home and abroad, expanding our business into the global market. We aim to become a world-class chemical company that provides innovative materials and solutions by sharpening our competitive edge in high-value-added core businesses while expanding new business opportunities in IT & Electronic Materials and Energy Solutions.